NORTH READING, Mass. 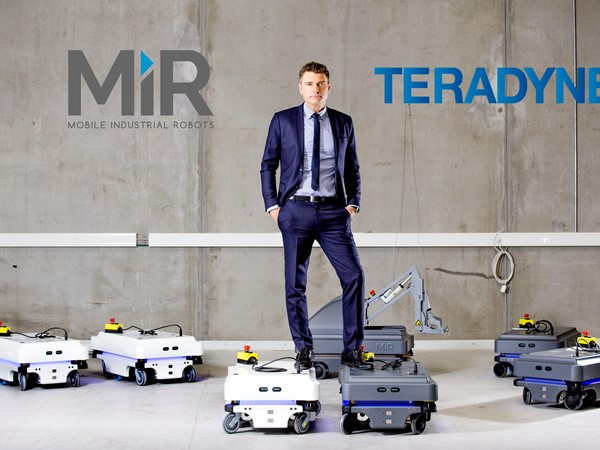 and ODENSE, Denmark— April 25, 2018 — Teradyne, Inc. and the shareholders of Mobile Industrial Robots (MiR) today announced the acquisition of privately held MiR of Odense, Denmark for €121 million ($148 million) net of cash acquired plus €101 million ($124 million at current exchange rate) if certain performance targets are met extending through 2020. MiR is a leading supplier of collaborative autonomous mobile robots (AMRs) for industrial applications. The AMR market is an emerging category within the approximately $1.1 billion logistics systems segment of the professional services robot market and is expected to grow rapidly in the years ahead. MiR was profitable in 2017 with annual revenue of $12 million USD, more than triple 2016 revenues and had Q1’18 sales of $5 million. A webcast to discuss the acquisition and Teradyne’s Q1-2018 financial results will be held on Wednesday April 25, 2018 at 8:00 a.m. EDT. Interested parties should access the webcast at investors.teradyne.com/events-presentations at least five minutes before the call begins. Interested parties can also call 1-800 865-4424 (U.S. and Canada) and 1-706-902-0224 (outside the U.S. and Canada). The conference ID is 7168509. A replay will be available on the Teradyne website, www.teradyne.com.